Geekhackers V3 Lube will also be offered with this GB! If you're an enthusiast that strives for 100% in everything, then I highly suggest you pick some lube with your switch order! 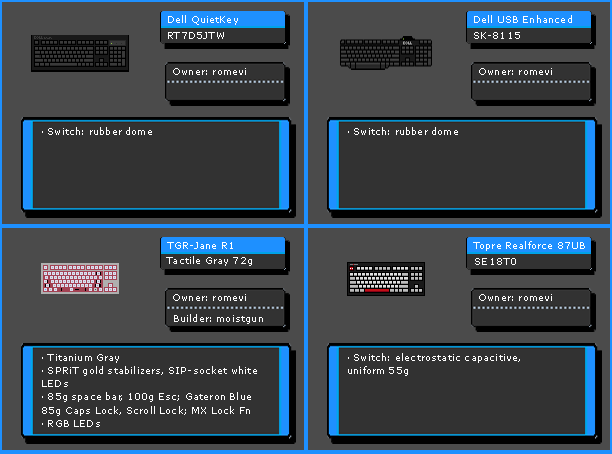 Please make sure to read up on the different tactile weights in the reviews below! 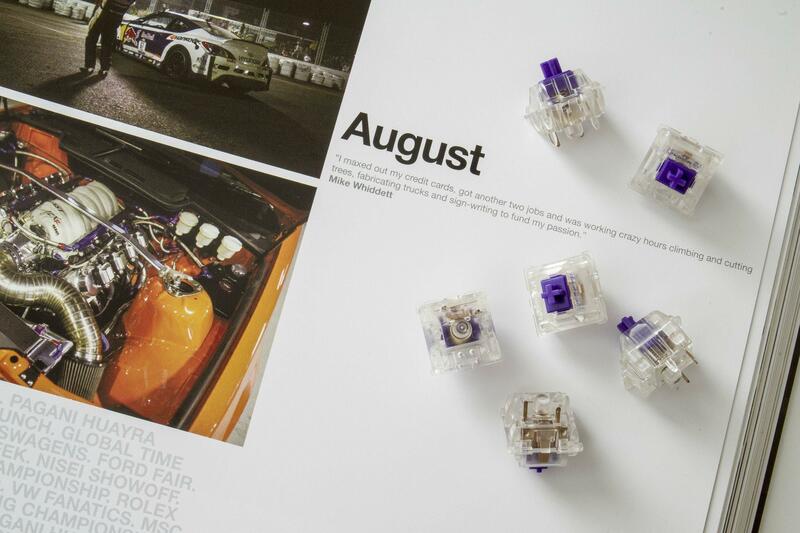 These switches are not to be directly compared to ErgoClears! Due to the smoother sliders, the weights may feel a bit "lighter". Price per switch is $0.75 USD. Once I receive the package, Price will retail @ $1/switch. 4% "Tax" will be added to your order to cover PayPal & handling fees. If you haven't been keeping up with the latest news, have a read here and on KeyChatter! 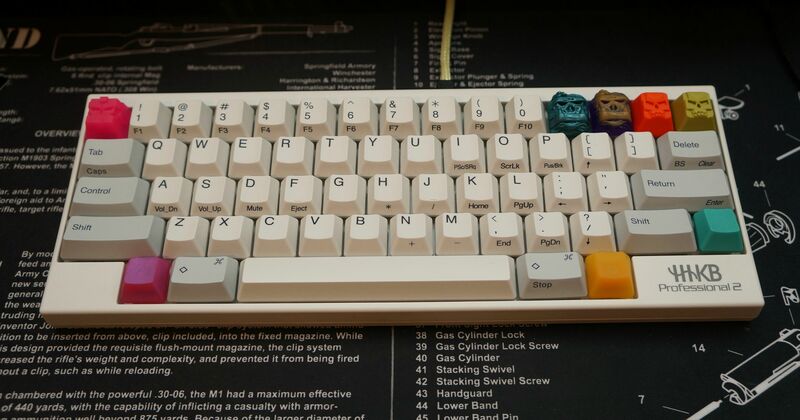 As a thank you to the supporters of this project, I'll be giving away 1 Zealio themed BINGECAP (still in original bubble mailer!) to 10 lucky purchasers! Make sure to tick the check-box on the order form! *If the site does not automatically provide you with shipping details at checkout, please send me an email and indicate where you're from and how many switches you'd like to purchase. (Mostly for orders outside of USA & Canada over 1kg). Orders Close September 30, 2015 at 11:59:59pm PST! Add the Zealio switch signature to your profile HERE! 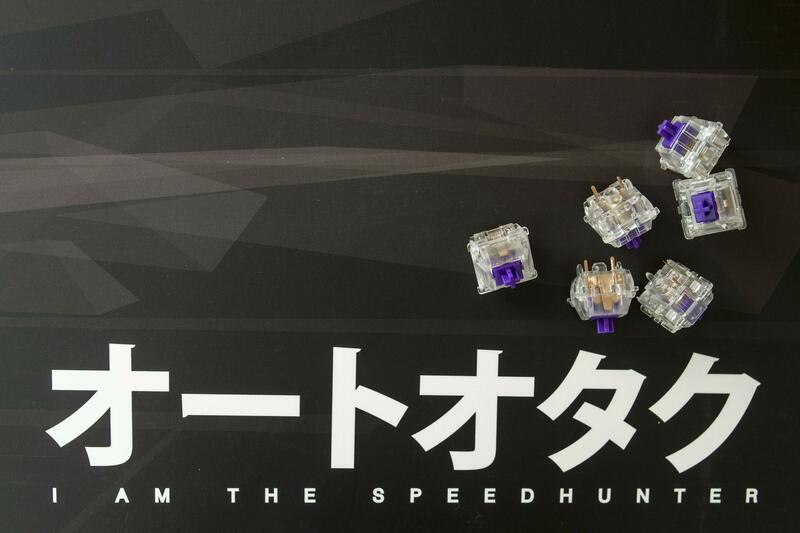 Re: [GB] PURPLE/CLEAR ZEALIO SWITCHES NOW LIVE!!! So excited for this group buy. Excited to put these on my hubble mira! Let's go in for 90 to get one of my TKLs converted. $10 to the EU is fukken sweet. I have a bag of Gateron blues I bought for my G80-1800 Leeku build. I was going to stash those and use these instead, but to put these in a PCB-only board with a plastic case seems like overkill. I think I'll use the blues for my Leeku and maybe just buy enough of these for a 60% board. Great. Will my wallet ever be fat and healthy? When is the approximate ETA for these if we join the buy? Please note: This is a pre-order/group buy. Orders will close on September 30, 2015 11:59:59pm PST. Expected manufacturing & shipping time to Zeal PC: 1 business week. I BOUGHT THE THINGS. YAY. That's pretty quick. Definitely joining this buy. Zeal...come on man. Where were you when I bought 8 packs of 62g, 65g, and 68g springs last year? RIP wallet. Just placed my order. Are there limited quantities to any of these offerings? I'll have to save up a bit so I'll be ordering mid september. Totally want to join this buy. Is there a date that this ends? Just got slammed with a hospital bill that I need to pay before I can spend more on my keyboard hobby, but can't miss out on grabbing some of these. No. There is no limit on order quantity. GB ends on Sept 30th. Thanks for putting this on Zeal! Go on, tell us the damage.. Thinking about getting these for my first full custom, and am intrigued by the option of RGB leds. But the switch accepting the RGB leds doesn't mean they'd work with whatever PCB/controller/etc, right? Might just order these anyway, but am curious whether the RGB led thing is going to matter outside of putting these on a board that already supports them. Am I way off base? Currently there aren't any custom PCBs that allow for RGB LED control, AFAIK. Zeal has said he was working on them, but I don't think there was a time frame, so it could be a ways off. Just to add to this, the switches will still work fine with single color LEDs. If your PCB has bottom-mount RGB LEDs you'll probably get some decent shine through the switch, depending on the case design and how the LEDs are mounted. Interesting, nice to see a ergo-clear style switch. Expensive though for sure. I guess it's a value add with the clear tops already included though. No clicky option, not interested. 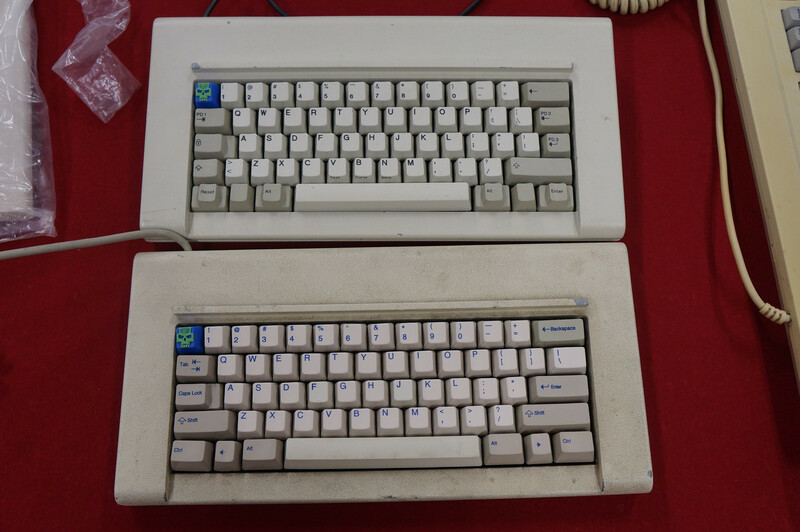 If I liked MX Browns and MX Clears, but sometimes found clears a little too heavy, and browns a little too light, which of these if any would be in between these two? I already have my dream spring. I wish you could sell just the purple and clear stems separate. I am so excited for this. I will be placing my order tomorrow. Very happy to see this live! I think the 62g would be your best bet. 62g or 65g. 62g would be closer to browns, and 65g closer to Clears in tactile feel. 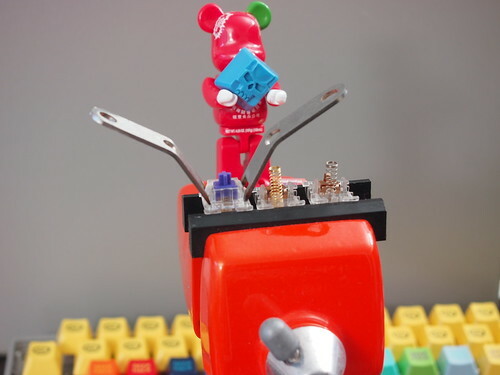 Be@rbrick helping me out in the lab. A proper Zealio review from me coming soon. Preview: I love the stock 65g Zealio and will be ordering those. I'm going to spend the whole month wondering if 67g was the right call, or if I should have gone with 65g instead. Could you make a closeup disassemble picture of both linear/tactile switches? I would like to see the stems. Thanks! Annnd ... could we vancouverites pick it up to save shipping money to buy more switch? reading the reviews it sounded like 65g was the sweet spot in comparison to Ergo Clears @ 62g, due to the smoothness of Gateron. I think I have a broken memory, because I thought I read these springs were sourced from Sprit, but I can't find that anywhere. 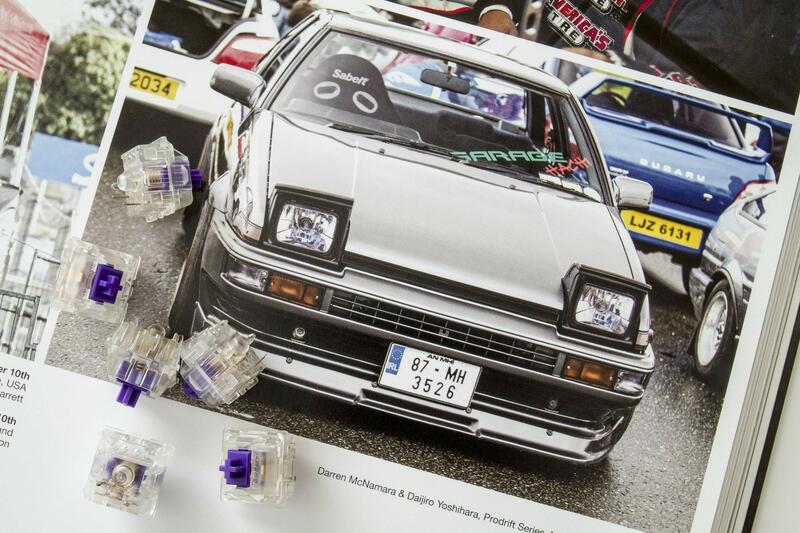 Are these Gateron springs or are they from another source? I already have 65g gold plated Sprit springs so I went with 62g and 67g and could switch (hue hue) if necessary. I have found 65g to be the sweet spot for me. Ok I have a month to figure out which variant I want. Or one month to save up to buy all. Will PM for local pickup info. Stem pics will come soon. I used to resell sprit springs. The current gold plated springs found in Zealios are tweaked to my spec, modified and/or new, such as the 67g weight. None of them have the same coil ratio/length as sprit's. They're slightly different. 67g is sort of a "new" weight.